Checked out any reviews of the Mazda CX-5 lately? Well, this much-loved compact SUV has racked up positive comments from throughout the automotive world, and the experts agree that there’s a lot to love. They praise everything from the crossover’s sporty look and responsive handling, aggressive fuel economy and performance, to its advanced technologies for safety and convenience. The Mazda CX-5 is an outstanding crossover, and it’s carved a niche in the market with a loyal fan following. 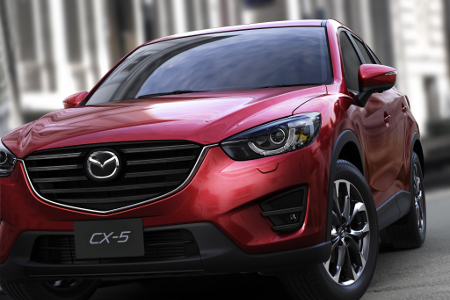 The universal feeling is that the Mazda CX-5 is fun to drive and has a spunky, athletic feel. Kelley Blue Book’s kbb.com points out Mazda’s SKYACTIV® TECHNOLOGY plus a lighter body and finely tuned suspension, gives the Mazda CX-5 a lot to work with. This combination means that even though it drives with energy, the Mazda CX-5 still gets great fuel economy— EPA-estimated 26 mpg in the city and 35 mpg on the highway. Car and Driver gives it five stars, and its review emphasizes the sports-car influence the automaker brings to the Mazda CX-5’s table, plus a long list of all-around features for technology, convenience, and safety that are included or available. The review from Edmunds.com lauds the Mazda CX-5’s spacious seating in the front and rear, plus generous cargo space. In fact, it names the Mazda CX-5 as one of its favorite selections within the popular (and crowded) compact crossover SUV class. You’ve heard what the experts say, but you’re the one who really matters. 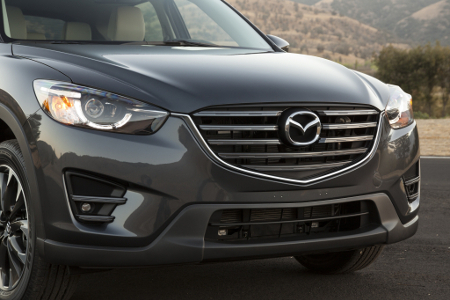 Now, it’s your turn to see what the Mazda CX-5 reviews were really talking about. Stop on by Biggers Mazda, and take one out for a test drive. You’ll have a blast, and we’ll get you all the information you need to move forward. Contact Biggers Mazda today!